WAYNE, NJ, June 1, 2016—Haier joins the hit unscripted competition series HOME FREE for the inspirational second season premiering on Thursday, June 16 (9:00-10:00 p.m. ET/PT) on FOX. This season, contestants will be competing to win a home for their personal heroes. Former NFL player, Heisman Trophy winner and sports analyst Tim Tebow will take the game to an all-new level, co-hosting alongside series creator and professional contractor, Mike Holmes, who returns for Season Two. A full lineup of Haier appliances is featured and will outfit each of the expertly built homes under the guidance of Holmes and Tebow. Each week, Holmes and Tebow will put the contestants to work while testing their skill, strategy and drive. The contestants who prove themselves will move forward in the competition, while the contestants who can’t meet expectations face eliminations. Holmes and Tebow will be with the competitors every step of the way demanding that they meet the highest standards while also sharing their expertise and guidance. When only two contestants remain, they will compete to win the ultimate Dream Home for their hero and unbeknownst to them, a $100,000 grand prize for themselves. 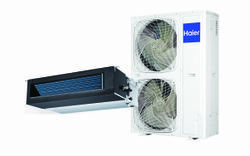 Haier America, headquartered in Wayne, New Jersey, is a subsidiary of Haier Group, the world's #1 major appliances brand by volume as ranked by Euromonitor International 2015, and a global leader in consumer electronics. Haier employs more than 60,000 people around the world and distributes products in more than 100 countries and regions with global revenues reaching over $30 billion in 2015. For more information, please visit www.haieramerica.com or connect at www.facebook.com/Haieramerica and Twitter @haieramerica. Tune in to another great season of Haier and HOME FREE!